Each year around this time (meaning when I start noticing how much later it stays light!) I’m inspired to start thinking about the adventures I want to have this coming summer. This year, my main goal is to hike Mount Baldy, here in Montana. It’s the second highest peak in the Bridger Mountain Range, just north of where I live. My husband and I love hiking new trails together. He enjoys camping a lot more than I do, but we try to get out as often as we can each summer. And while I do enjoy exploring the great outdoors, my favorite form of adventure is the good old fashioned road trip. Regardless of where we go, I’m continuously in awe of how varied and beautiful our country is, when it comes to climate and landscape, architecture, history, and people! 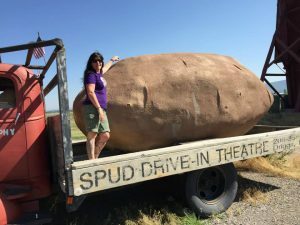 Plus, I go nuts over roadside attractions. This is an obvious choice here, and a fitting one. Four years after the death of her mother, Strayed was 26 and soon to be divorced. Feeling absolutely lost, and believing she had nothing more to lose, she made the most impulsive decision of her life. With no experience or knowledge, she hiked over thousand miles of the Pacific Crest Trail, completely on her own. Strayed tells her story with humor and raw honesty. 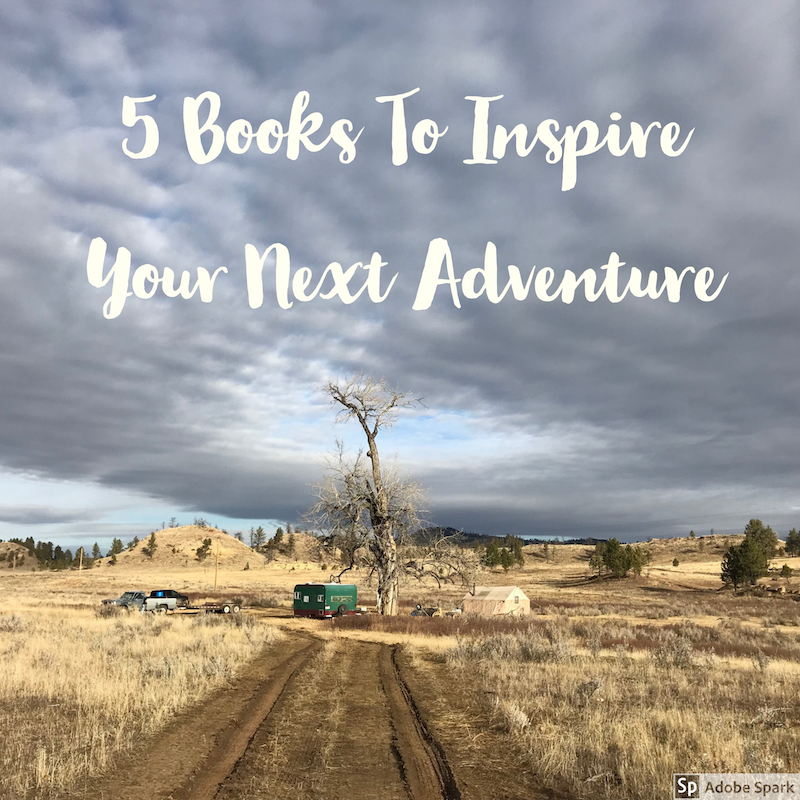 If we’re planning a road trip, this is the most important piece of reference material I consider! 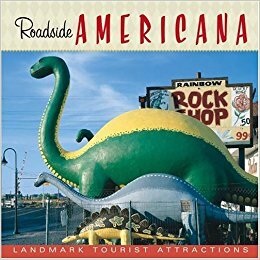 This book explains the history of some of the weirdest roadside wonders in the U.S. and Canada. Complete with maps and directions, you can learn about everything from the world’s largest red wagon to the Mitchell Corn Palace and anything in between! 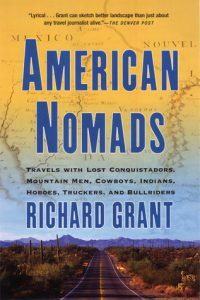 From Goodreads: Fascinated by the land of endless horizons, sunshine, and the open road, Richard Grant spent fifteen years wandering throughout the United States, never spending more than three weeks in one place and getting to know America’s nomads: truckers, tramps, rodeo cowboys, tie-dyed concert followers, flea market traders, retirees who live year round in their RVs, and the murderous Freight Train Riders of America (FTRA). In a richly comic travelogue, Grant uses these lives and his own to examine the myths and realities of the wandering life, and its contradiction with the sedentary American dream. Along with a personal account, American Nomads traces the history of wandering in the New World, through vividly told stories of frontiersmen, fur trappers and cowboys, Comanche and Apache warriors, all the way back to the first Spanish explorers who crossed the continent. What unites these disparate characters, as they range back and forth across the centuries, is a stubborn conviction that the only true freedom is to roam across the land. 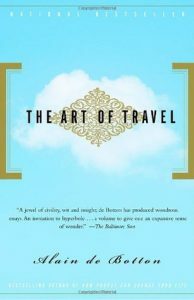 From Goodreads: de Botton considers the pleasures of anticipation; the allure of the exotic, and the value of noticing everything from a seascape in Barbados to the takeoffs at Heathrow. Even as de Botton takes the reader along on his own peregrinations, he also cites such distinguished fellow-travelers as Baudelaire, Wordsworth, Van Gogh, the biologist Alexander von Humboldt, and the 18th-century eccentric Xavier de Maistre, who catalogued the wonders of his bedroom. 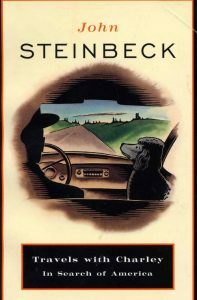 From Goodreads: In September 1960, John Steinbeck embarked on a journey across America. He felt that he might have lost touch with the country, with its speech, the smell of its grass and trees, its color and quality of light, the pulse of its people. To reassure himself, he set out on a voyage of rediscovery of the American identity, accompanied by a distinguished French poodle named Charley; and riding in a three-quarter-ton pickup truck named Rocinante. 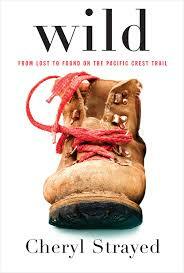 I just listened to Wild on audiobook, and it was amazing! 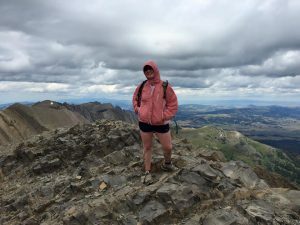 It doesn’t make me want to hike the PCT, but it did give me a glimpse into what that might be like, and confirmed my lack of interest in long distance hiking. I find that books about food and cooking tend to inspire my actual life more than anything. I am listening to My Life In France by Julia Child right now, and all I want to do is travel to Europe or get busy in the kitchen. Preferably both, but as farming season has started, I will settle for spending time in the kitchen. 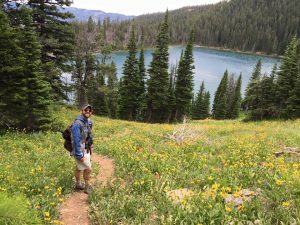 I love Wild, and hiking part of the PCT is now on my bucket list. I love the idea of spending months hiking. 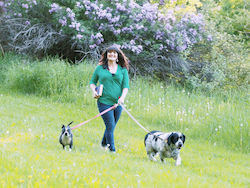 That’s not something I’ll ever do since I have pets who count on me, but I’d love to take a day or two in the middle of nowhere. That Roadside America book sounds great. 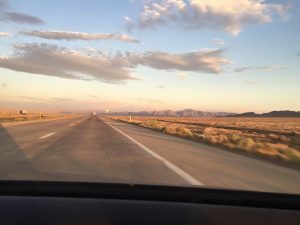 I don’t love road trips, but I seem to take a lot of them, and stopping various places might make the trips a lot more fun.